WHAT’S INCLUDED: ​ Workshop tuition, lunches, snacks and drinks, and an evening mixer so you can get to know your fellow BEST coaches.​ Plus you get to play with a mini-BEST robot! WHO SHOULD ATTEND: Teachers, coaches, and mentors of BEST Robotics teams​. While geared towards new(er) BEST teachers, even veterans will gain tips and valuable experience. You must be at least 18 years of age to attend this workshop. WHEN: Choose your session — June 25-29 or July 23-27. Each workshop starts on Monday at lunch and runs through Friday at lunch, allowing travel time on Monday morning and Friday afternoon. Workshop size limited to 26 participants per session. We will maintain a waitlist in case a cancellation opens up a spot. COST: Tuition $500 per person. 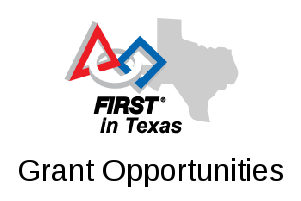 For more details and registration, see the Best of Texas Robotics site at https://www.bestoftexasrobotics.org/workshops.html .